Every day millions of Latino children are being cheated out of an education. Compared to 44% of White/Asian children, only 9% of Latino children will ever take an AP math class. Latinos also have the highest high school drop out rate. On January 28th at Klaus 1447 from 11-12pm, there will be a conversation about what must be done with the Latino community to ensure that all Latino children receive an excellent education. FREE FOOD will be provided. Event hosted byTeach for America. 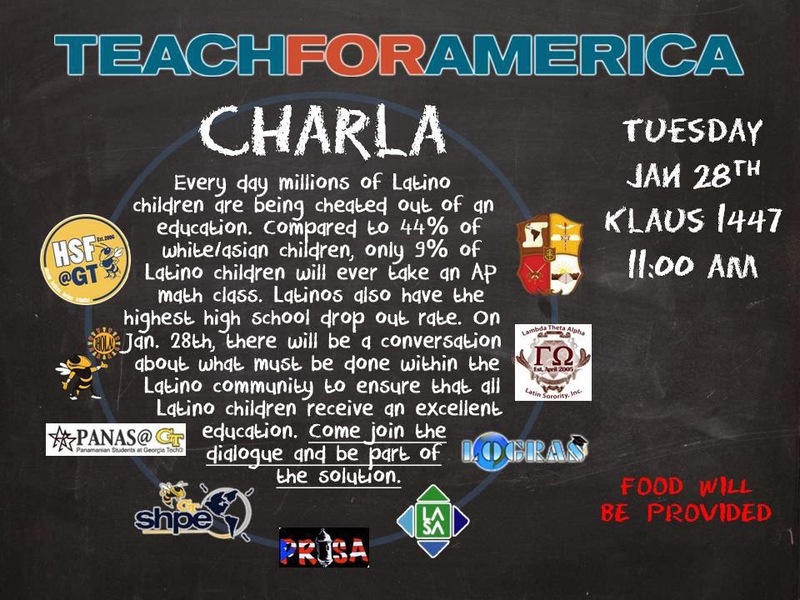 WHAT: All of the Latin Student Organizations are hosting a Teach For America event which will be a discussion on the education within the Latino community. Come join the dialogue and be part of the solution!